Prepare students for the future by teaching them spreadsheet skills. A spreadsheet is an electronic ledger commonly used by people in the workplace to store information and manipulate it to make informed decisions. The worksheet is divided into alphabetic columns and numeric rows. 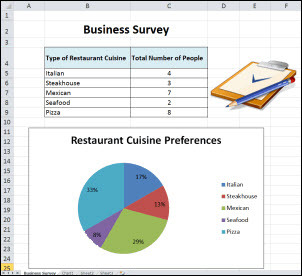 One of the most popular spreadsheet programs is Microsoft Excel. Why do you need to teach spreadsheet skills? Teach spreadsheet skills to make connections to the real world applications of mathematics. Spreadsheet skills allow students to organize, calculate, graph, and analyze data. These skills provide a critical foundation in preparation for future studies and the workplace. Today, many careers require knowledge of how to use a spreadsheet program. When selecting a product you want students to create using a spreadsheet program it is essential to determine the technology skills that are required. In addition, you must consider the students’ grade level and previous computer experience prior to selecting a task. Spreadsheet skills can be grouped into basic and advanced levels of difficulty. Incorporate spreadsheet skills in the classroom to create essential learning experiences for your students. Prior to beginning a lesson, consider the level of difficulty of the task and the background knowledge of your students. This will help you to select a product that is developmentally appropriate.